Elegant and chic these 1940s gold statement crystal drop earrings are a Starlet's dream. 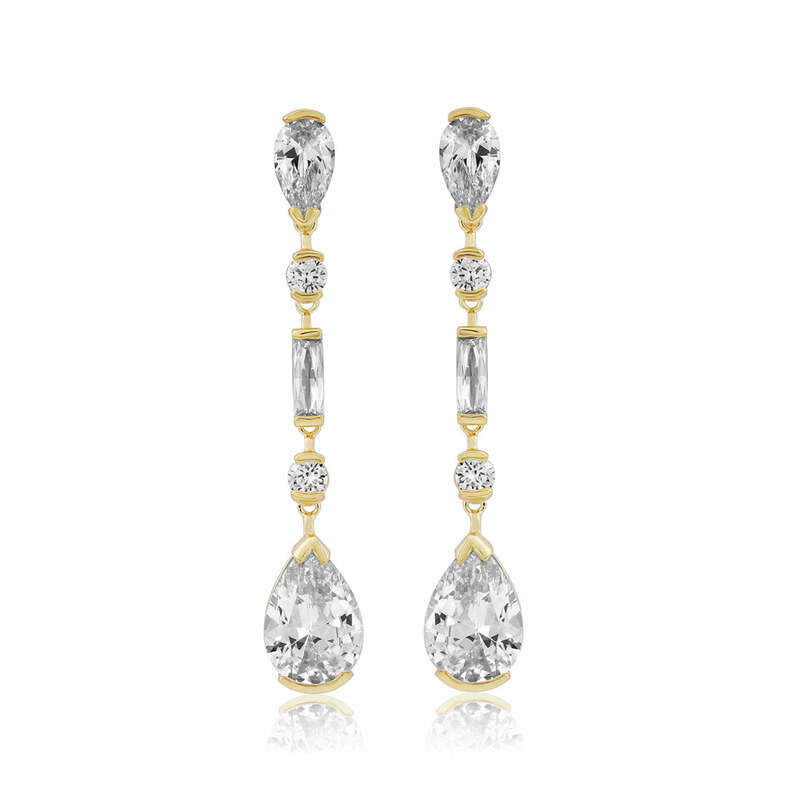 Divine bridal earrings for a decadent wedding scheme. 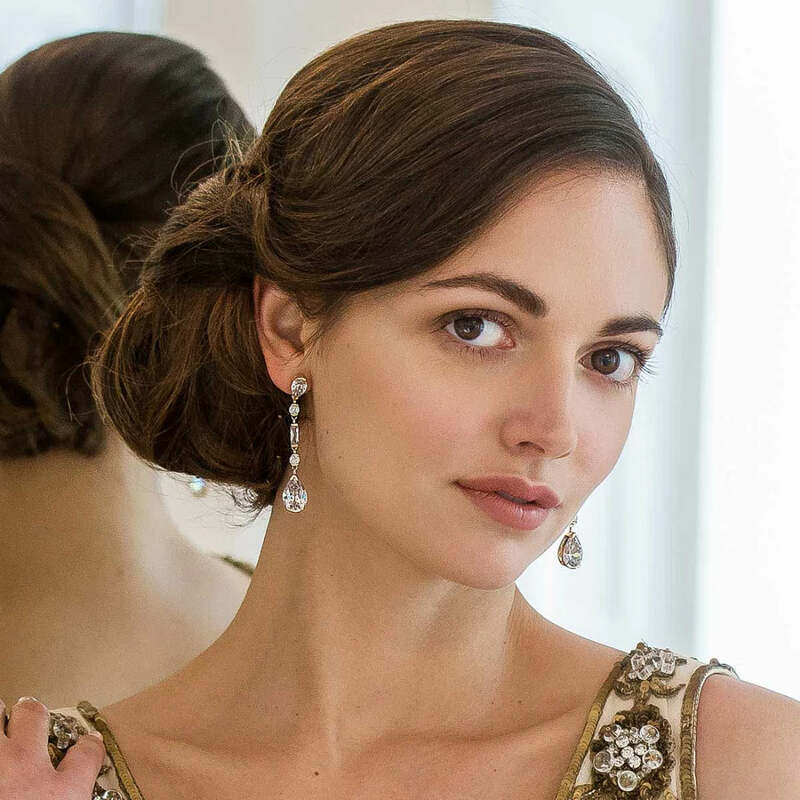 The simplicity and elegance of single strand drop earrings blend with luxurious gilt tones for a look reminiscent of a 1940s movie star. Adorned with brilliant, pear and emerald cut cubic zirconia encased in antique gold tone setting, Grace of Gold Earrings are the epitome of sophisticated glamour. Divine bridal earrings to enhanced metallic detailing on an opulent wedding gown or to complement a decadent wedding colour scheme, this chic pair's refined style looks elegant with short hair or playing peek-a-boo beneath a softly, tousled chignon. With such eternally timeless style, Grace of Gold Earrings are sure to spend little time in your jewellery box. Whether teamed with a cocktail dress for a daytime occasion or an evening dress for an extravagent event, this fabulous pair accessorise with perfection.